It’s always nice to find new routes while out walking, go new places, see new things or just explorer your surroundings. That’s pretty much what I have been doing for the last year or so in the Peak District. 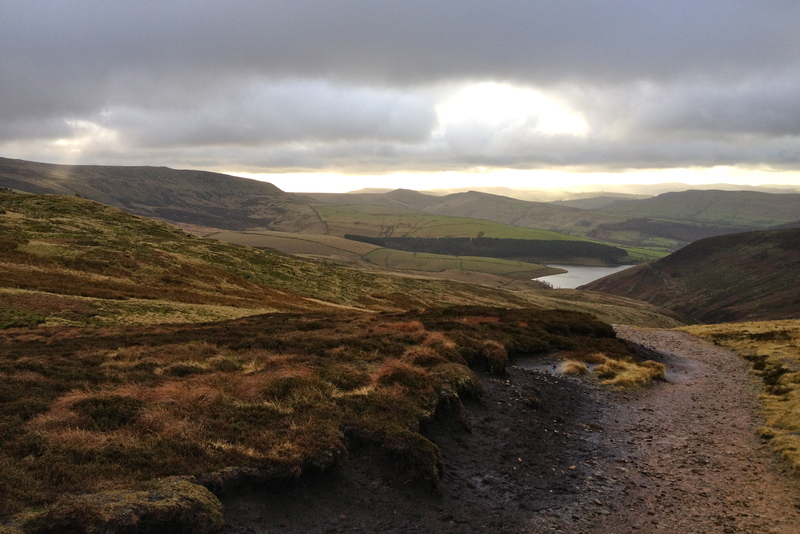 The Peak has a hell of a lot to offer, from dramatic edges, to vast moorland landscapes and breathtaking views aplenty. I don’t really have favourites, as having them means you like somewhere or something less. I do however have a route which I can say I have favoured more than others. The route in question is one that I have done 100+ times but it never gets old to me, simply because it has it all. The route I’m talking about is the one above, Kinder Scout from Hayfield. As I said before I have done this route hundreds of times in the past. My friend Stevo and I did this route pretty much every week for 2 years. It holds a special place in my heart and it’s one that I would recommend with no fear of it disappointing. The edge path is a classic route which is no stranger to the crowds in summer, don’t let that put you off. it passes the locations of a historical trespass, a future Alien evacuation, spots of scientific significance and wreckage sites with stories of tragedy. If you decide you want to get away from it all then look no further, as true isolation and the feeling of loneliness are just a few footsteps away from the edge. I set off from home this morning and headed straight for Bowden Bridge car park near Hayfield. As I was getting all my kit together I recorded a quick section of today’s AudioBoo. I had decided to record a different sort of Boo today, the iPhone app lets you pause while recorded so I thought a step by step guide Boo would be interesting. I had already recorded the first part while at home outlining todays plans so just gave a quick update on the weather conditions. 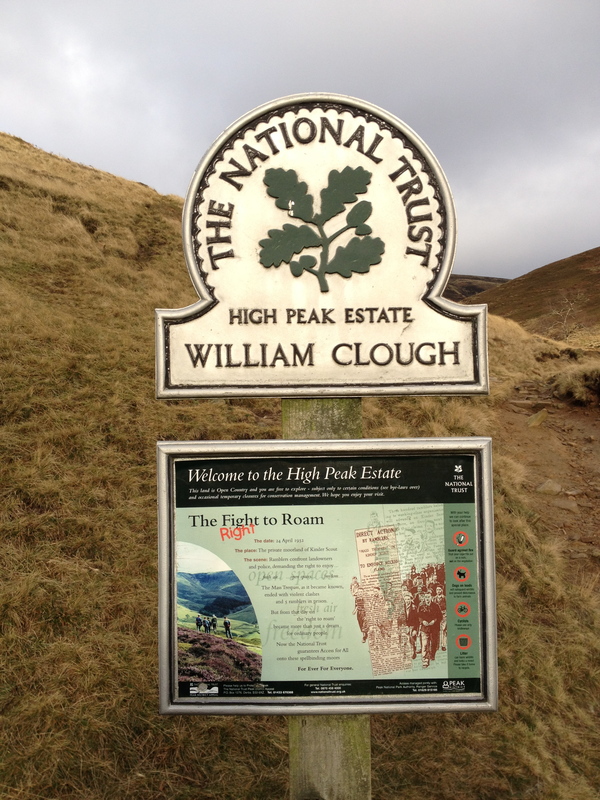 The climb up William Clough is rewarded by fantastic views in all directions from the top at Ashop Head. The view back down towards the reservoir was particularly good today as the Crepuscular rays were breaking through the clouds. You now join the Pennine Way which start/ends at Edale depending on which way you decided to tackle it. The Pennine Way is a 268 mile long distant walking route that weaves its way north from Edale all the way to Kirk Yetholm in Scotland, maybe one day i’ll give it a go but you can be sure that i’ll blog about it if I do. After a short breather at Ashop Head I recorded another section of my AudioBoo and we then headed up on to Kinder itself. after a short walk along the edge path we turned north east and headed inwards to find the remains of the 2 Canadian Sabre Jets. I have blogged about this wreckage site in the past and you can find the post about it in the archives – Kinder Scout – Sabre Jets or Kinder Scout – Hayfield Route Highlights. In 1954 two Canadian Sabre Jets took off from their base at linton-on-Ouse near York, They failed to reply to radio messages and simply disappeared. A group of ramblers found the wreckage later that evening, It can only be assumed that they collided mid air. The reason why they were about 50 miles off course remains a mystery. The wreckage is spread across a wide area, there is more further north down in Ashop Valley which I have yet to find but will keep you posted. Another section of AudioBoo recorded and we were then on our way again. The next interesting spot we visited is one where the tail of Alien Evacuations lingers. You may notice the white cross and the initials GK in white paint on the image below. They stand for George King and this is the point where Aetherians will be evacuated by Extra Terrestrials from Venus when the world ends in the year 2015. I’m yet to find an exact date for this but i’ll keep looking. If you manage to find out some more info and would like to view this spot or perhaps phone home with ET .. The co-ords are roughly N53°23’58.99″, W1°53’29.94. There has been a large amount of rain in recent weeks which means Kinder Downfall is currently in full flow. The Downfall can range from being totally dried up in the summer months to a raging torrent after periods of heavy rain. today it was a nice gentle waterfall and we got to see it go into reverse. When the wind is coming from the west and the water is flowing you can witness this fantastic spectacle. I managed to get a few images of it happening via the camera on my new iPhone 4S, I also recorded a little video too. I was very pleased to find that I had 3G mobile signal while at Kinder Downfall, I decided to fire up Bambuser and broadcast a little live footage. Bambuser is a live video streaming site and I’ve only used it a couple of times so far, I never had 3G signal in the Peak District while I was with O2 so I shall be using it a lot more in the future now I’m with Orange which has better coverage. Anyway, I decided to hide a container full of Chocolate which you can see pictured below. The coordinates for said container are as follows 53.397130, -1.879470. I will be doing a blog post on the subject very soon and will give more clues then, the coords should be all you need if you wish to go off and reap the rewards. I recorde another section of my Boo and then we proceeded over Kinder Downfall. We were pleased that the wind had died down as we would have got a soaking when crossing the river. As I mentioned before the downfall goes into reverse in high winds which means anyone stood at the top is going to get rather wet. In no time at all we arrived at Kinder Low, the light was fantastic at this point as the cloud was beginning to disperse and we had fantastic 360 Degree views. We stopped for a quick lunch break here and took a few pictures before keeping moving so we didn’t freeze solid. The wind coming in from the north west was icy cold and i managed to forget my gloves today which ment I felt the cold while messing about with my phone. On the way down to KinderLow End you pass the KinderLow Bowl Barrow, It is a monument within a fence and is an early Bronze Age (2000-1500BC) burial mound. Over 500 barrows have been identified across the Peak District. Most are still highly visible in the landscape. Evidence shows that it was normal for between 5 to 20 burials to be placed individually, in various positions, within a barrow. It is thought that these monuments were probably built by family communities, to reflect the importance of ancestry and people’s relationship with the land. We made another quick stop so I could record another section of my AudioBoo and then made our way down the slippery path towards the steep steps. When we got down to the road I recorded the final section of my AudioBoo which you can find below. I think I will continue Booing in this manner as I am pretty pleased with the results. I having been recording Boos on the way home after my last few walks but thought I would go for a different approach this time and I think this will be the norm from now on. All being well I will be out again next week for another wander in the glorious Peak District. Keep an eye out for my Geochocing blog post and feel free to go and have a look for the container if you are passing. 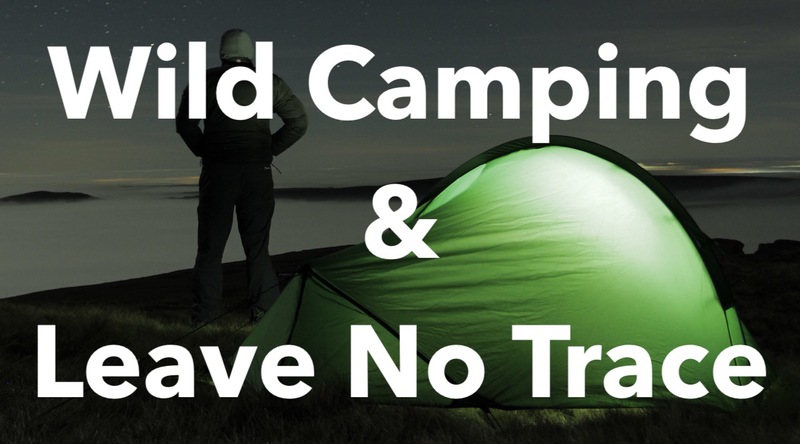 All I ask it that you remove the container if you find so i’m not littering the landscape 🙂 Why not hide it somewhere else in the Peak District and we can keep the game going. Thanks again for stopping by. Its a classic route Dean. One I did with my Father many a time. Glad to see it getting a mention. Lots in that post and thanks.